This paper explores the ways in which conditions of economic globalization are performed in the work of American artist Anne Wilson. It specifically examines two of Wilsons recent projects, Local Industry (2010) and Walking the Warp Manchester (2012), projects in which Wilson deploys the public, collaborative act of weaving as a meditation on the changing nature of textile production, labor, skill, and social relationships. Each project was conceived for a specific site  the southeastern USA, Manchester UK  where textile production has been decimated by downsizing, outsourcing and plant closures, the result of increasingly deregulated global trade. 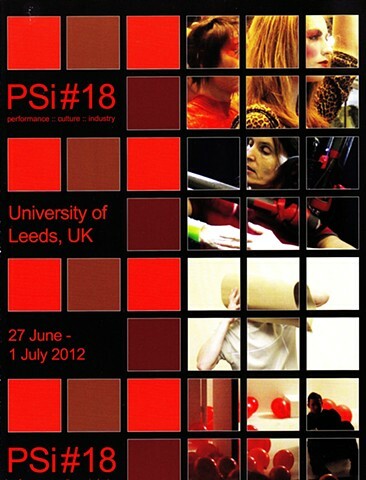 Presented at Performance Studies International 18, Performance: Culture: Industry, University of Leeds, Leeds UK, 2012.